The United Way of Lamar County is again offering free tax preparation through the IRS sponsored Volunteer Income Tax Assistance program for qualifying Lamar County residents. 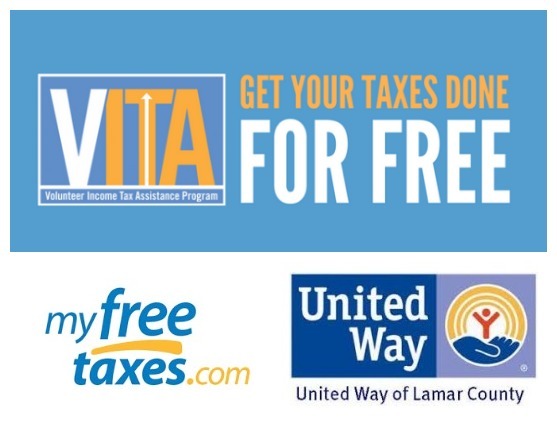 The VITA program offers tax preparation and e-filing to individuals and families who make less than $60,000 a year and is administered with the help of volunteers who are trained and certified according to IRS standards. The program will be held by appointment only on Thursdays and Fridays during February and March. Call 903-784-6642.